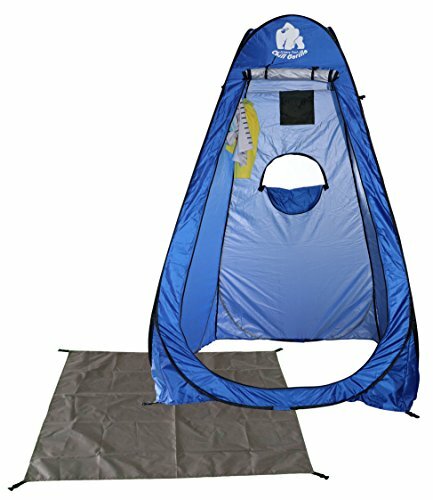 Shop Chill Gorilla Instant POP UP Privacy Tent. 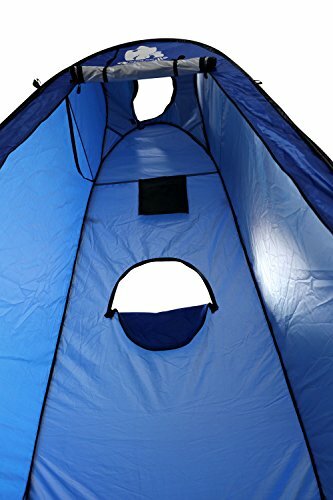 Perfect for Dressing/Changing, Portable Shower, Outdoor Shelter. Privacy Camp Bathroom. Easy to Setup. Includes Carrying Bag. The Instant Private Room. 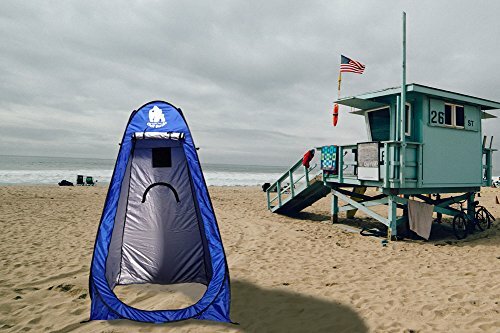 With the Chill Gorilla Pop Up Privacy Tent you are just seconds away from having an instant privacy tent that gives you a place to change clothes, shower, use the restroom and more at the beach, camp or wherever our adventures takes you. 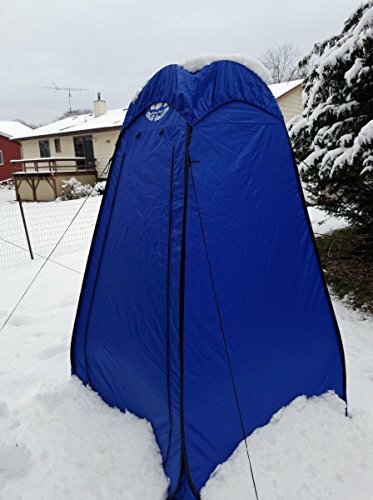 Designed and constructed with waterproof high quality 191D nlylon polyester with lightweight flexible steel your privacy tent is built strond and designed to withstand the elements even with repeated uses. EASY SETUP WITH NO ASSEMBLY. 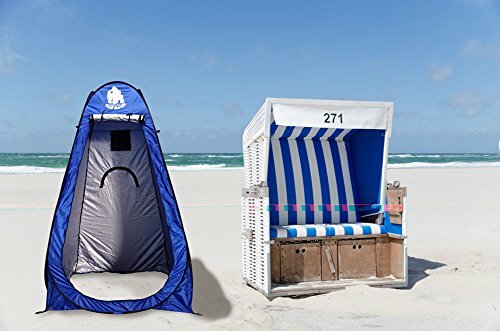 Lightweight privacy tent/cabana/shelter instantly -pops- up & is ready to use at the beach, road trip, photo shoot, dance class, campground, anyplace you need privacy. 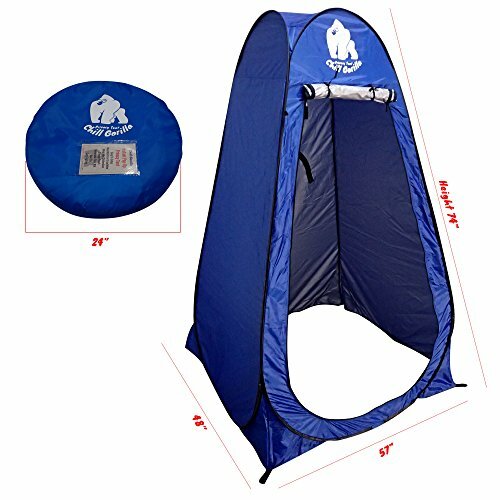 Photographers love our privacy tent for model shoots. Ladies love to change outfits at the beach without having to use unsanitary public facilities. 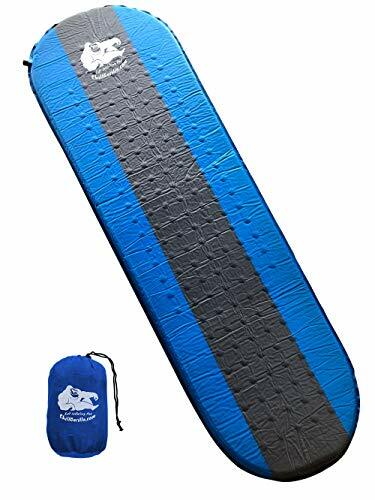 Effortlessly fold flat to 24″x1.7″ into the carrying bag/backpack. Extremely easy to store and carry around. BASE DIMENSIONS 48″ X 57″. HEIGHT 74″. 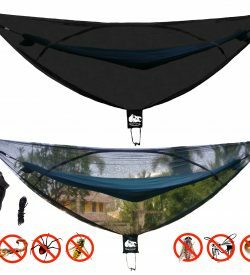 LIGHTWEIGHT, PORTABLE, HIGH QUALITY, WEATHERPROOF & UV PROTECTION. 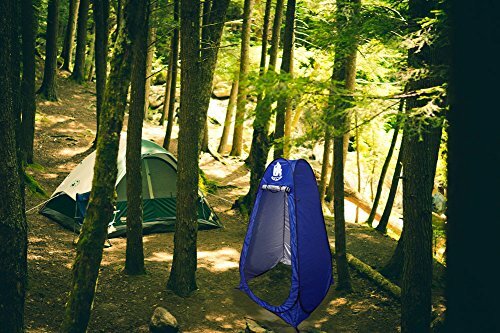 Designed with high quality waterproof 191D polyester and ultra lightweight flexible steel for durability, our privacy tent is designed tough and ideal for days at the beach, family hiking, camping, backpacking, boating, sporting events, festivals and travelling. 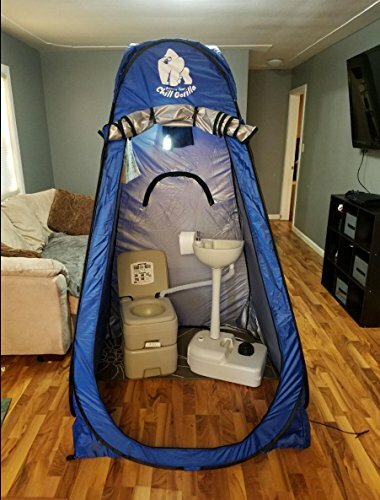 SOMETIMES YOU JUST NEED A LITTLE PRIVACY and when you do our Chill Gorilla Privacy Tent is ready. LUXURIOUS ON THE INSIDE INCLUDES FLOOR AND STAKES. Zippered windows and a zippered mesh roof encourage air circulation. Integrated clothesline. Storage pouch for you valuables (phone, keys, etc.). HUGE ZIPPER FRONT DOOR gives you easy access. Removable SCRATCH PROOF FLOOR keeps you clean. REMOVABLE RAIN FLY to keep you dry. And the carrying back lets you pack and carry it in seconds. 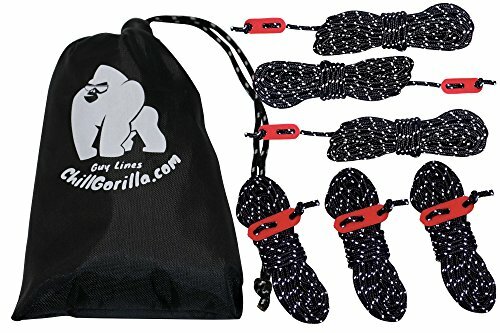 CHILL GORILLA IS THE BEST VALUE FOR YOUR MONEY! Our base is 539 Square inches bigger than Wolfwise (& others) giving you 20% more room inside! Compare us to KingCamp, GigaTent, Campla, Sportneer, Faswin, Green Elephant, Lightspeed Outdoors, TMS, F&D, Terra Hiker, OUTAD, Boshen, Ancheer, Giantex, Coleman, Abco Tech, etc. 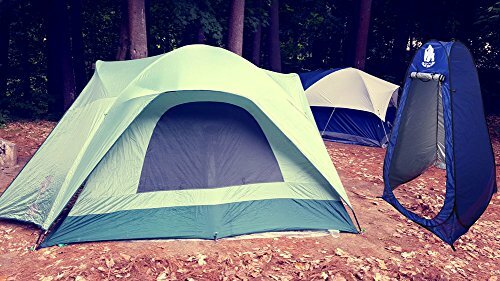 Most of our competitors do not have the removable floor, rain fly, or come with tent stakes. 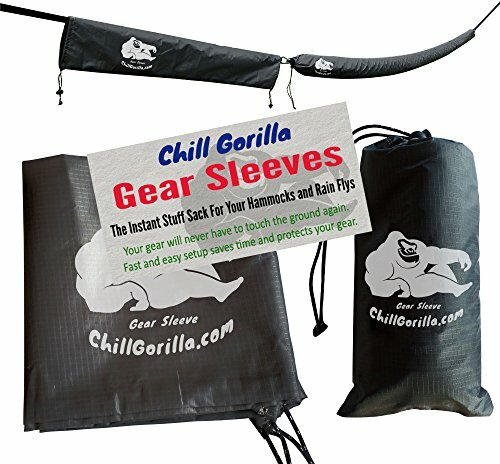 When you want more for your money go Chill Gorilla! ORDER NOW WITH NO RISK! 100% SATISFACTION GUARANTEE – We have a 100% CUSTOMER SATISFACTION rating on Amazon for a reason! BEWARE OF CHEAP IMITATIONS. 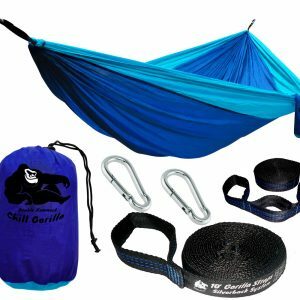 Only Chill Gorilla sold by VENJOIN (and Fulfilled by Amazon) are guaranteed to be top quality, with excellent customer service. Keep one for yourself and order one for a friend or family member. 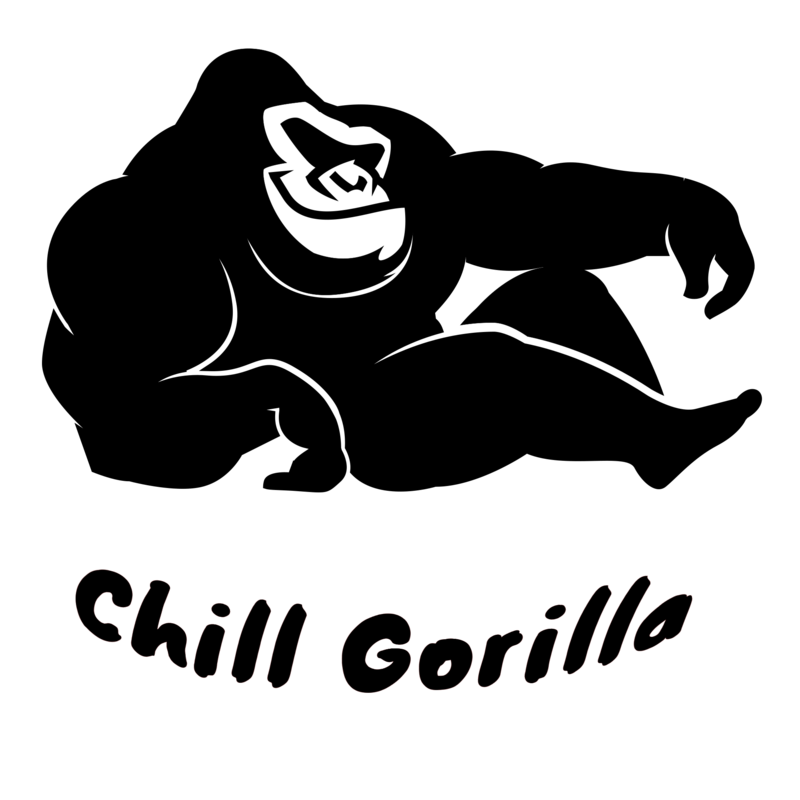 Every product comes with a OUR HASSLE-FREE WARRANTY and friendly customer service provided by Chill Gorilla, Proud to be a U.S. based company.